The new lineup of The Eagles has announced a series of fall US dates. Don Henley, Joe Walsh and Timothy B. Schmit – joined by the late Glenn Frey’s son, Deacon, and country singer Vince Gill – will follow their appearances at a pair of Classic festivals in Los Angeles and New York this summer with four more live appearances. 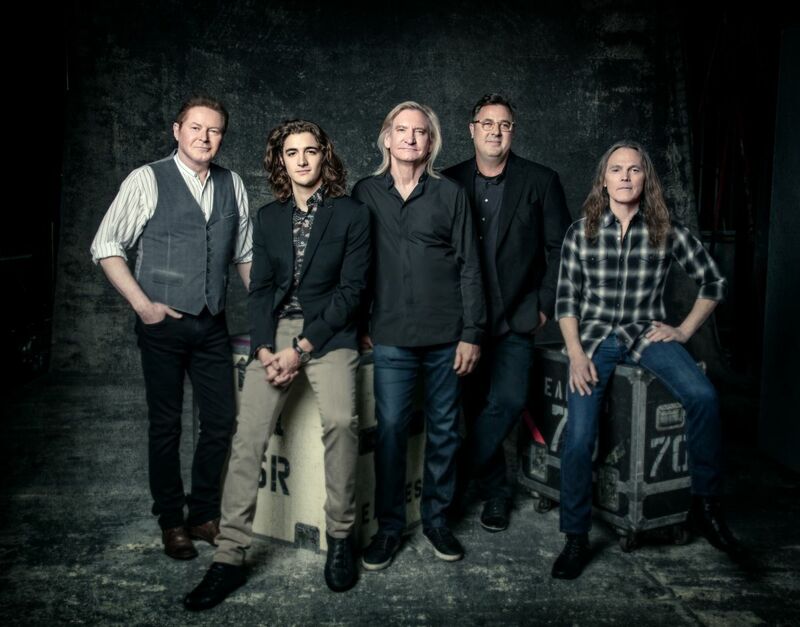 Billed as “An Evening with The Eagles”, the band will play shows in Greensboro, NC, Atlanta, GA, Louisville, KY and Detroit, MI in October. An American Express Card Members presale starts August 15 at 10 AM, with general public tickets on sale August 19 at 10 AM. Following the 2016 death of Eagles co-founder Frey, the group debuted their new additions at The Classic West event at Dodger Stadium on July 15 followed by a second show at The Classic East in New York on July 29. Walsh says the success of those events were directly responsible for the group's decision to play more shows. "We spent a long time after Glenn passed in discussions, and we needed to put some time in there," Walsh recently told Billboard. "But in the course of talking we started thinking about, 'What if the Eagles were gonna continue?' and what would that be, and gradually some clarity started to come in. Glenn's son Deacon is a pretty good musician and... that chemistry is there. Vince Gill has been a really good friend of the band for a long time, and he grew up listening to the Eagles. "So we figured we would at least try it and see where it went and we worked on it and thought it through and we tried it out in Los Angeles and it was just magic. It really was. It was received wonderfully and the energy that we all have is very, very healing, so I think Glenn would be proud of this and we decided to do it some more." "We're not booking a huge tour and saying, 'Hey, we're back and all that," Walsh added. "We're very cautiously trying to get an environment where it will all work and people can come and we can play our music and continue to keep going. "Based on Los Angeles we got a real nibble here, and so we're just going to take it slow and make sure it's the highest amount of quality and production, and that's where we're at with it at this point." Ahead of the October run, The Eagles will headline The Classic Northwest concert in Seattle, WA on September 30.